recently im having some problem changing output folder. I could do that in version 3. how can i change output folder???? 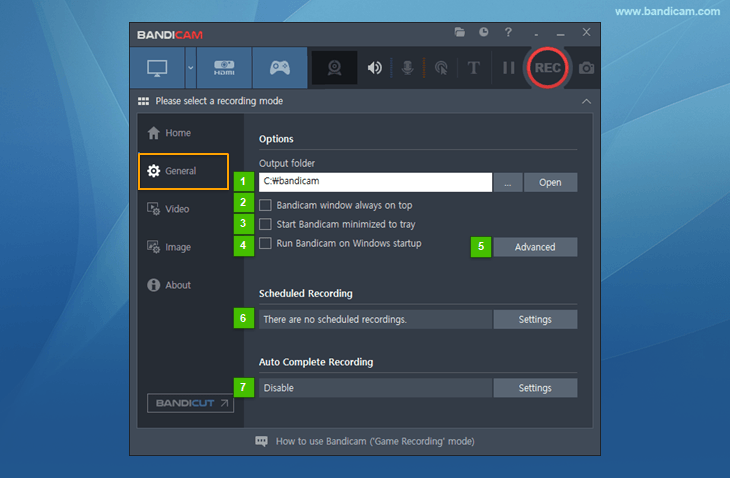 Please install Bandicam 4.1.7 and check if you still have the same issue. If it does not seem to work, please let us know how to recreate your issue. 1. Please click the [ ...] button (No. 1) to change the output folder.